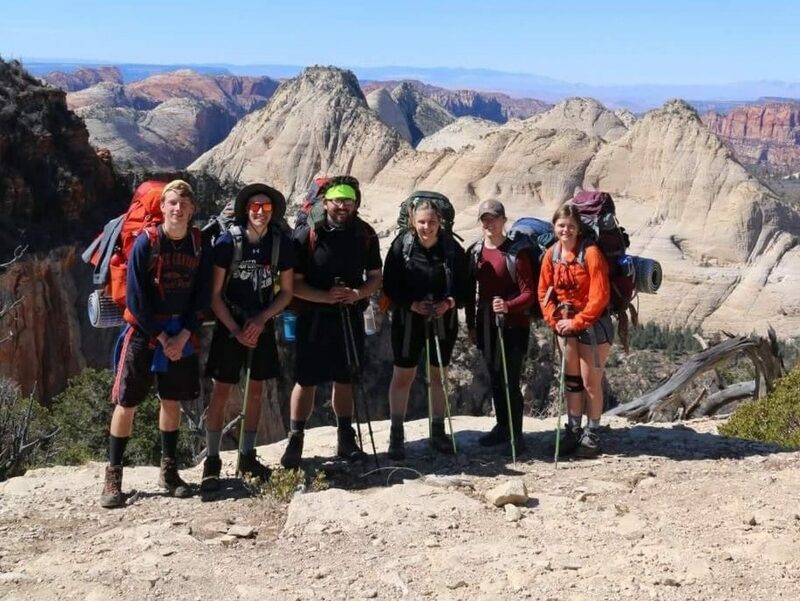 The Backpacking Activity Group encompasses a variety of trip types and skill levels. True backpacking trips – overnight trips on which you carry all your gear in a backpack – can be 1-2 nights for a beginner trip or more than a week for those more experienced. Beginner backpacking trips frequent state parks or forests in Wisconsin while longer trips are taken to the Rocky Mountains, Isle Royale, the desert Southwest and other distant places. You can take a trip that lasts an afternoon or a week! You say you don’t have gear? That’s OK because Outing Club has a variety of equipment for use on club trips! Equipment includes backpacks, sleeping pads, backpacking stoves, water filters and chemical treatment, first aid kits, and tents. Please note that we do not have sleeping bags, and Outing Club equipment cannot be used for private use and cannot be rented from Hoofers. Come along and join us on a trip out your back door or out to the wilderness! Check our these gear lists for specifics.